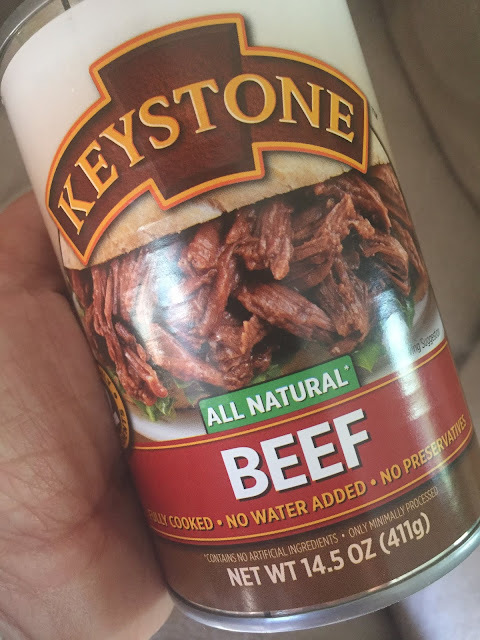 I got to try this beef in a can! More on that when I write up my review post. 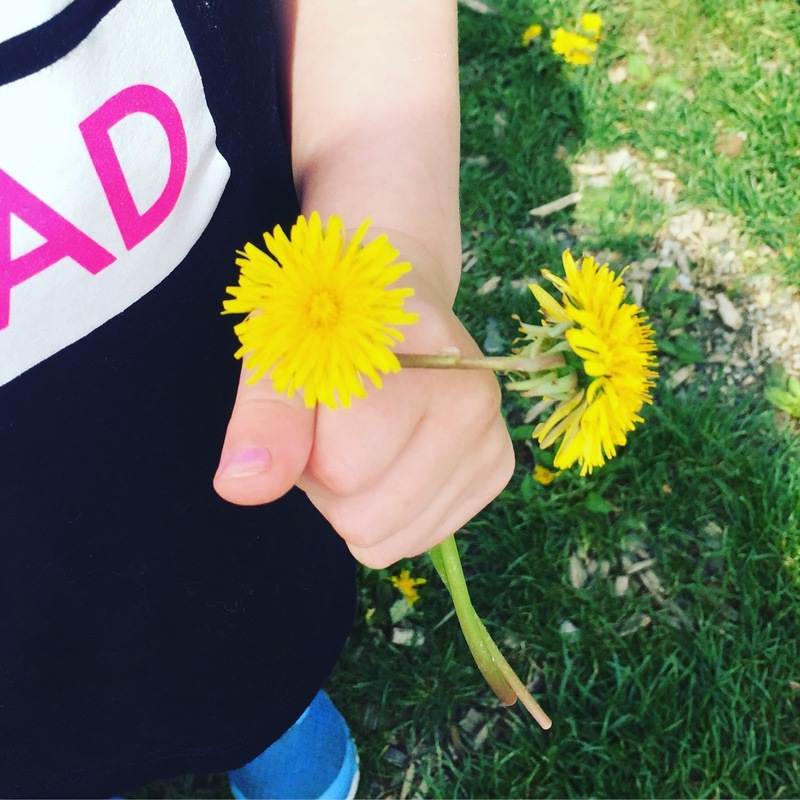 One of my little preschool students was picking some dandelions and clutching them like they were roses. I love dandelions and love that kids love them. 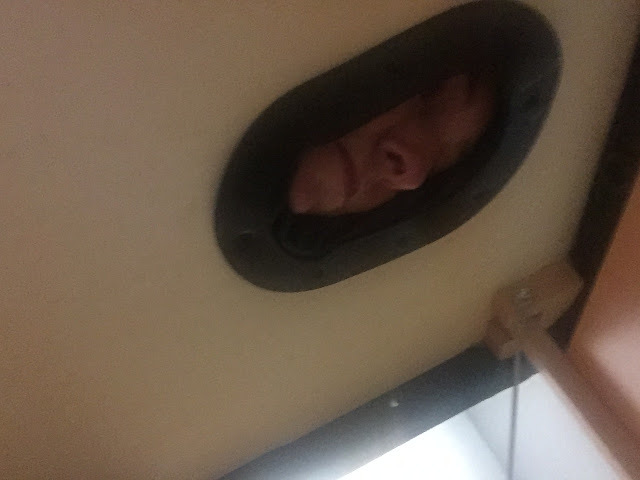 I was in the process of having electrodes on my calf at physical therapy when my daughter text me asking what I was doing. I took a quick "blind" selfie. While I couldn't see it I sent it anyway. I find it so creepy. 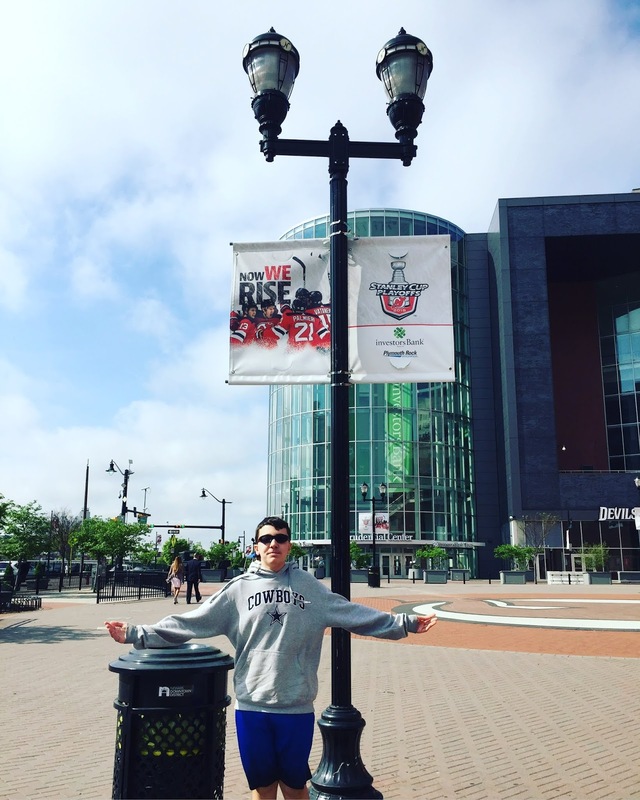 Went to my nieces graduation and my son fell in love with the New Jersey Devils. This was the year he got into hockey after being a major football fan. I was hoping he would eventually love the Devils because they are the team his dad and I love and especially since they don't share a favorite football team. He has never been to a teams arena and was smitten from the moment we got out of the car. 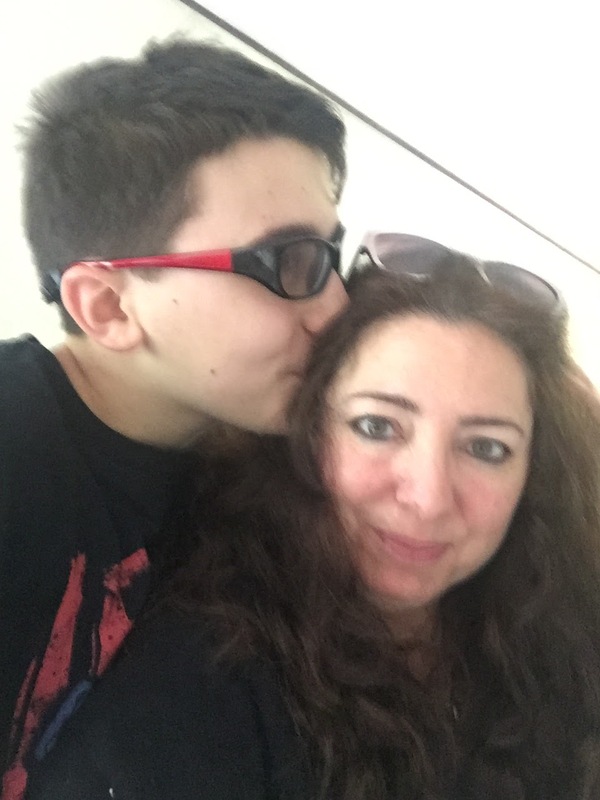 Probably my favorite photo of my son's 15th birthday. 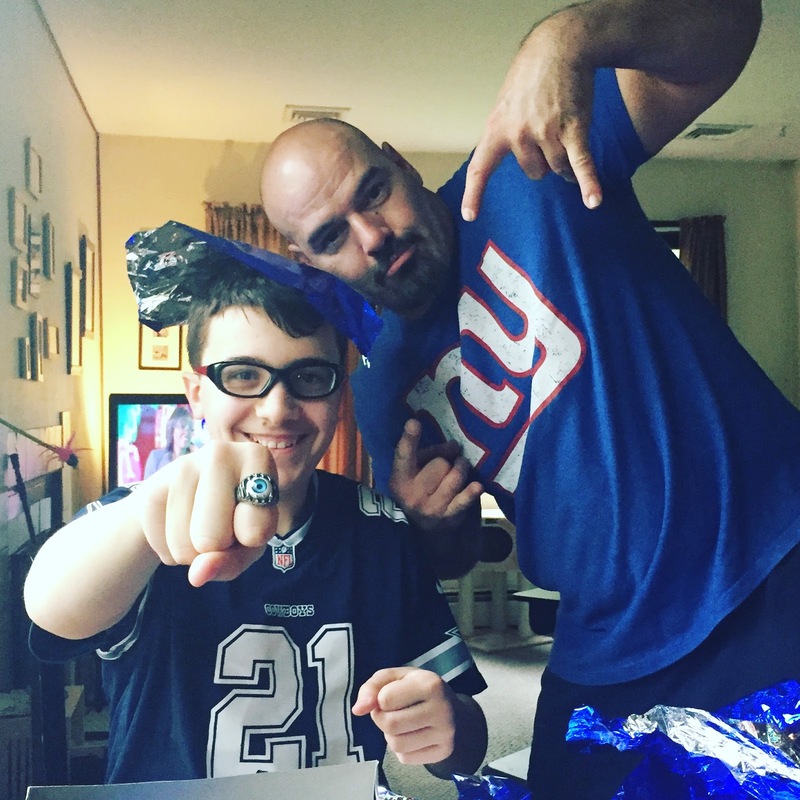 He wanted rings so badly after watching Paul Abrahamian on Big Brother for 2 seasons. He loves his rings. Notice the shirts on these bad boys. Thankfully they will share the Devils as a favorite hockey team and I couldn't be happier. 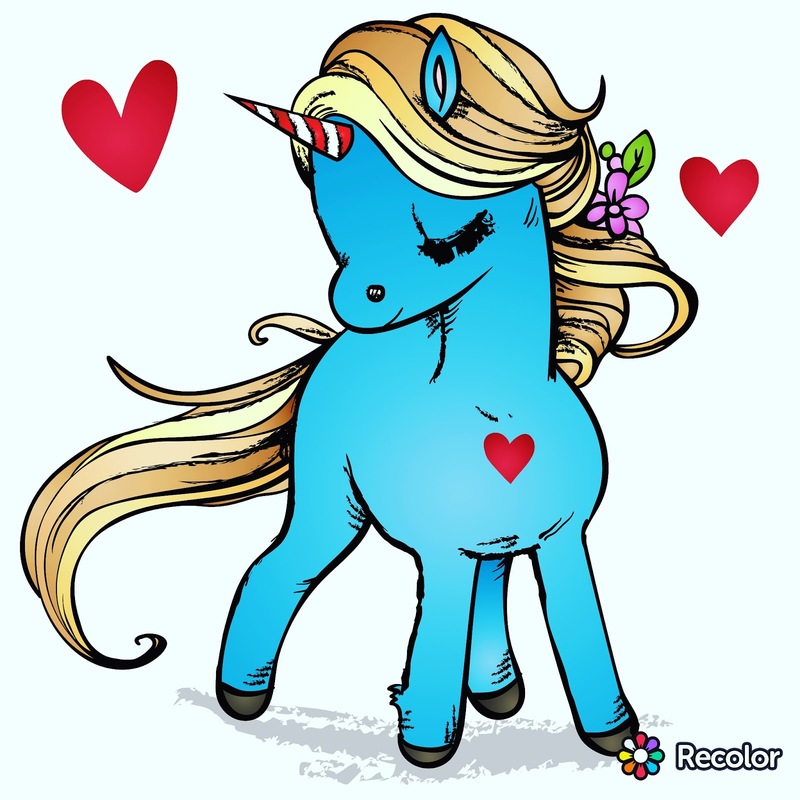 At the end of the night while watching whatever my husband puts on TV and I am not reading I am usually coloring on the app Recolor. It is so much fun. So blurry but I don't care. My son kissing my head is a winner!